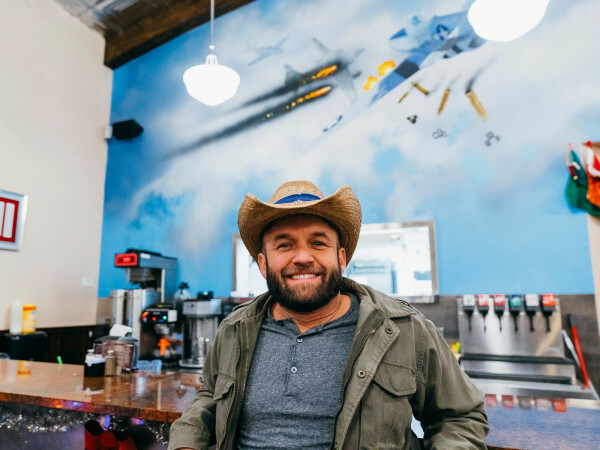 As Austin’s population continues to rise, an onslaught of professional transplants are left to work in crowded coffee shops turned makeshift office spaces. Sure, the free WiFi is nice, but the struggles to find parking, ample desk space, and a quiet place to take important phone calls are all too real. 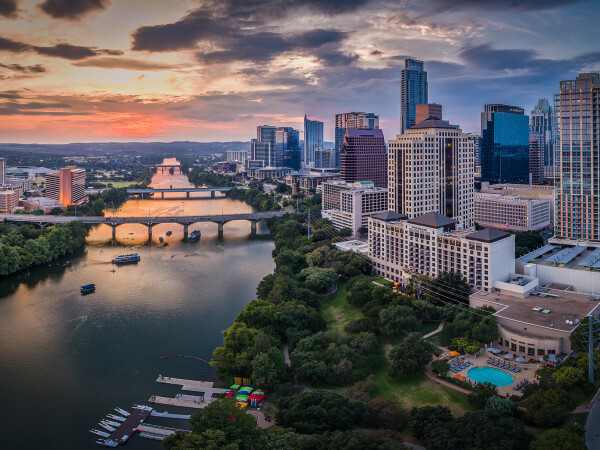 Luckily, a variety of coworking spaces have popped up in the 512 to offer a much-needed respite to chaotic communal venues. 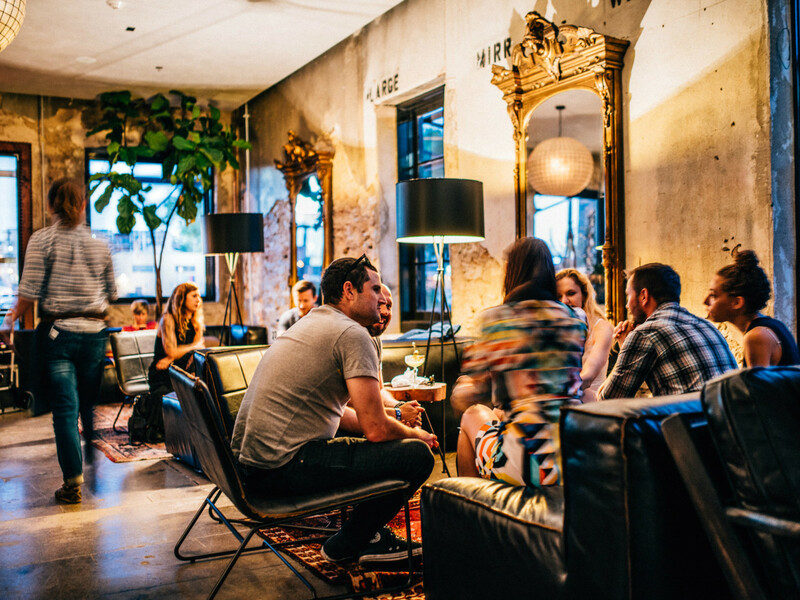 We’ve rounded up the coolest coworking places in Austin to help you stay on track and get stuff done. Root yourself in a permanent office space or pop by and hang with fellow creatives in shared working spaces designed to foster productivity and, of course, profits. What: Makers are invited to pull up a seat at CRAFT. 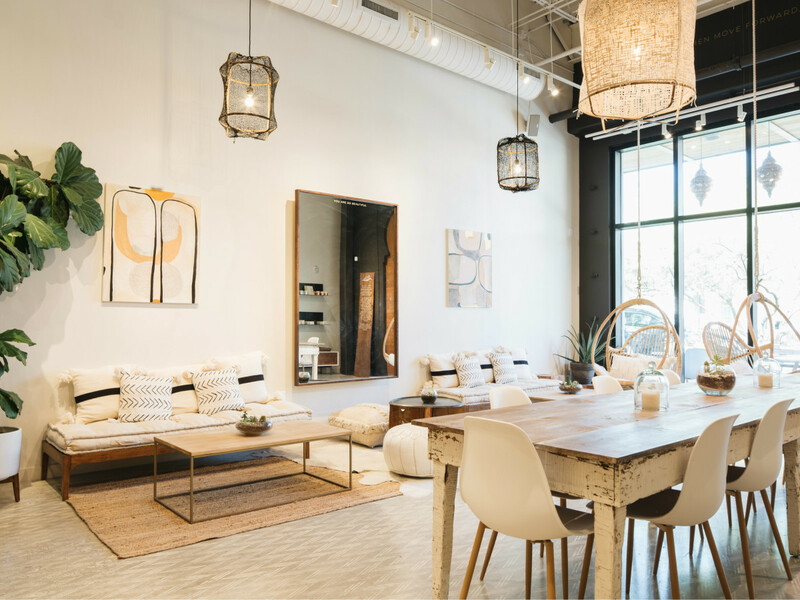 This wide-open studio is located less than 10 minutes from downtown and offers seating accommodations for 40 crafters and up to 200 standing guests. Guests are encouraged to mix, mingle, and create with fellow makers. Membership includes tables and shelves for use and an extensive library of DIY supplies and tools to create metalworks, jewelry, and more. Not a crafter? No problem. CRAFT offers walk-in coworking for all. Budget-friendly coworking hours are Monday through Friday. What: This North Austin coworking space offers 24/7, full-time access to best suit any busy schedule. Memberships include coworking, reserved desk, and office options. Perks like weekly community breakfast, hot beverages, and mail delivery services are also included. What: This spacious venue is ideal for designers, builders, developers, and engineers. The 1,500-square-foot space is comprised of offices for small businesses and creative professionals. Amenities include a library area, innovative conference room, beer, and exclusive events. Day passes, dedicated desks, and non-dedicated desks are available with membership. East Side Collective is also dog-friendly, so you can bring your furry friend to work to keep the creative juices flowing. What: Keeping productivity high and costs low is more than feasible at this South Austin shared space. Customizable monthly drop-in plans are available for traveling professionals. For those who prefer to stay long-term, Fibercove offers standard membership, dedicated seats in open coworking spaces, and dedicated desks in an office suite. What: Greenway Central is the ideal shared workspace for entrepreneurs and independent professionals seeking a haven from the busy coworking spaces of downtown Austin. Membership options range from dedicated desks to private offices and include access to a 12-person conference room. Additional perks include unlimited printing, mail delivery addresses, free parking, and member happy hours. What: Let your creativity run wild at the spacious Impact Hub locations. 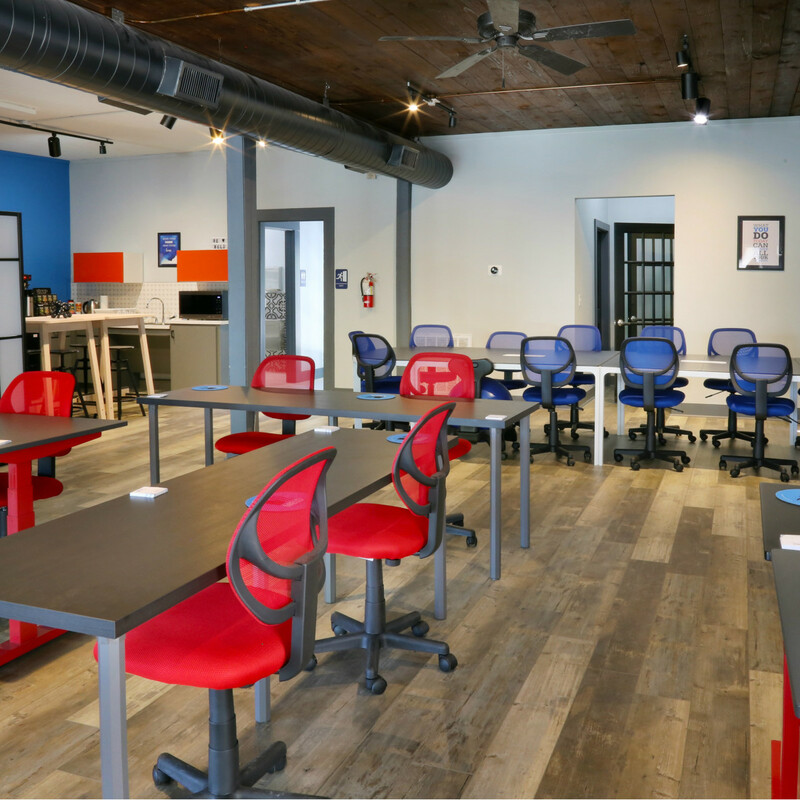 Options include coworking, dedicated desks, shared workspaces, and private offices to best fit your business needs. Amenities include yoga and meditation classes, an on-site car wash, fair trade coffee, monthly events, daily office supplies, and more. 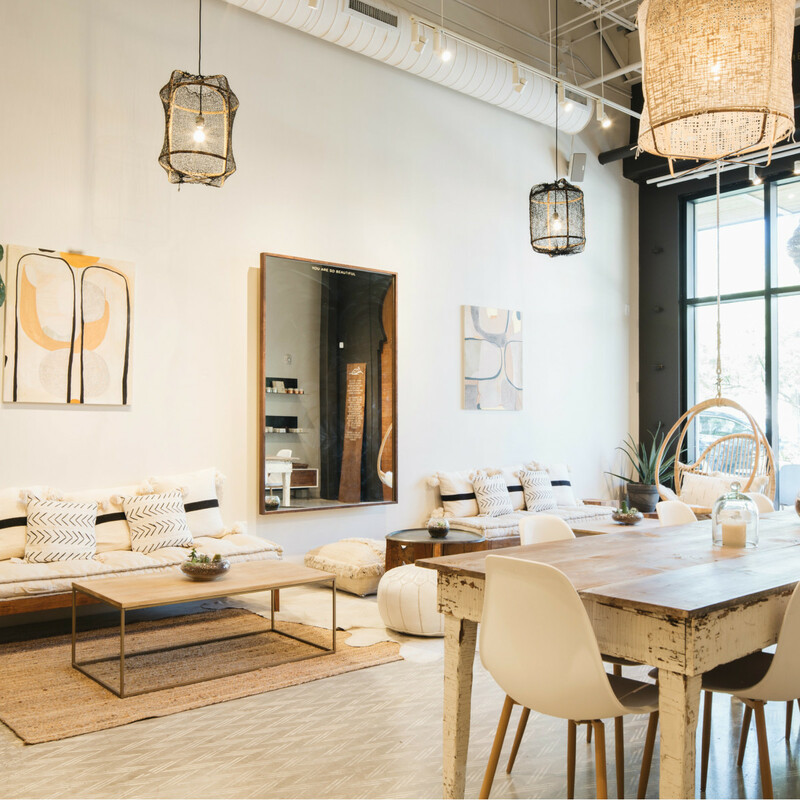 What: Industrious is a stunning shared space located in the bustling Warehouse District. Professionals can enjoy floor-to-ceiling windows, indoor parking, common areas, a mother’s room, coworking spaces, and private offices in the heart of downtown. Other fun perks include relaxation rooms, locally sourced treats, parties, and more. What: Pick your productivity preference at three locations within close proximity to one another at this über cool coworking spot. Link Coworking is part of a global network of shared working spaces, offering members access to other offices when they travel. Amenities include outdoor courtyards, premium coffee service, free parking, a koi pond, special discounts to local businesses, and iconic eateries within walking distance. What: Akin to its name, MELD offers a shared space within a 100-year-old house to provide a “home away from home” designed for getting things done. Enjoy comfortable work stations like standing and sitting desks or pop into a meeting room for collaborative projects. Membership perks include complimentary monitors, free snacks and drinks, and exclusive after-hour events. Punch cards are also available and grant three-month access for the drop-in professional. 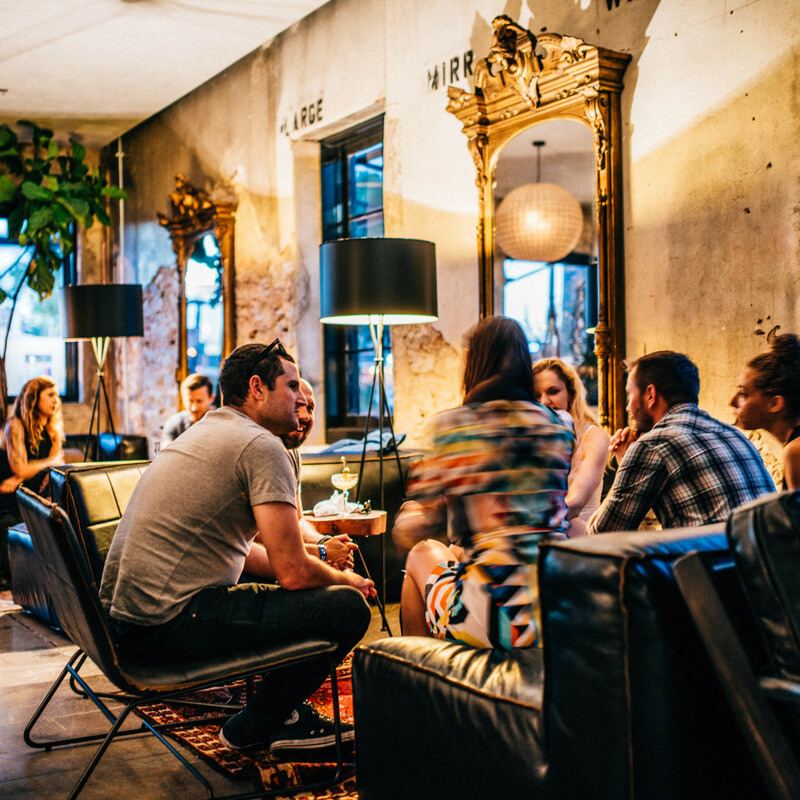 What: Native Hostel isn’t just for nights out anymore. The east side hostel offers up an inviting alternative to your standard coffee shops and coworking spaces complete with must-have amenities for the hard working college student or professional on a budget. Stocked with comfortable couches, communal spaces, on-site parking, drink specials and free WiFi, the hostel is ideal for hosting meetings or getting work done solo. What: Since its massive redesign and re-opening in 2017, the new Austin Central Library is an architectural wonder designed to spark ideas, collaborations, and creativity. Austin residents can reserve one of the many shared learning rooms available for meetings, study sessions, or hitting project deadlines. Plug into TV monitors and videoconference colleagues or connect to AirPlay for presentations. What: Handmade goods retailer Noah Marion has transformed half of his store into a place for innovators to get things done. The super modern space includes a conference area, open seating, and ample room for a company party or event. Perks include snack and drink offerings and its bustling South Lamar locale provides plenty of distractions whenever you need a break from the grind. What: Raven + Lily opened its all-inclusive coworking space for women earlier this month. Membership includes free printing, conference spaces, art supplies, fair trade snacks, and special discounts on events and workshops. Enjoy an exclusive discount off the Raven + Lily boutique and celebrate the end of a busy work day with a little retail therapy. What: The Refinery is a multipurpose space designed to “foster connections between creative individuals doing incredible things.” After hosting several SXSW and conference events since its opening last year, the space has become a hub for influencers and professionals looking for a bright, engaging work environment. Members and non-members can take advantage of a photography studio complete with props, equipment, and lighting or conference rooms at affordable hourly rates. Open seating, dedicated desks, and private office spaces are also available. 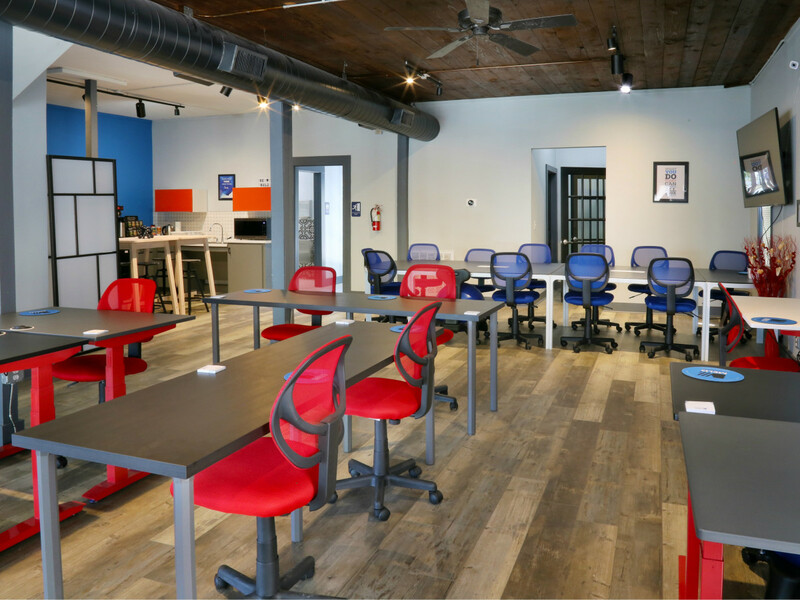 What: Relay Coworking, located at The Center for Innovation, is a social ecosystem and shared space specifically for nonprofits, incubators, universities, and advocacy groups. In an effort to curb the anxiety (and major bill) that comes along with finding a long-term office space, Notley and Springdale General have created a coworking campus at affordable rates to help your organization get off the ground or sustain success. Relay Coworking's 10,000 square feet of solar-powered coworking community includes Car2Go parking, on-site food and coffee options, and 24/7 access. Options include a mix of office suites, private studios, conference spaces, dedicated desks, lounge areas, and more. Bonus? It's dog-friendly. What: Vessel is an ideal hideaway for professionals who work most efficiently in a quiet, relaxed environment. Located on the second floor of the For the City Center, amenities include free snacks, private phone booths, spacious desks, Cuvee cold brew on tap, and even a Slack support account for any on-site needs. What: This east side space is a haven for wellness-oriented creatives and professionals. Work Well offers a range of membership packages designed with wellness standards in mind to ensure members are at peak efficiency. The newly designed coworking space is filled with plants, standing desks, and natural light to foster the spirit of productivity. 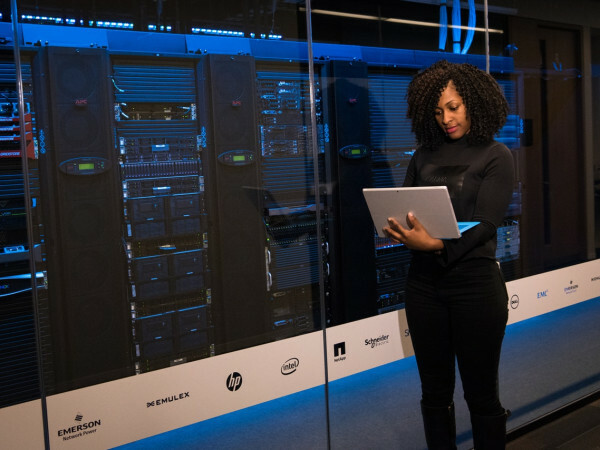 Additional amenities include an outdoor recharge area, putting green, lounge, dedicated desks, private offices, and large private offices housed in recycled shipping containers.